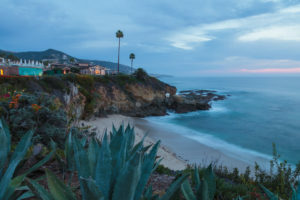 There is a lot of excitement when it comes to moving to Laguna Beach, and as you probably know if you’ve ever had to move your entire household before, plenty of stress. One of the best ways to keep your stress levels under control is to hire a team of the finest movers in Orange County, CA. Here at Priority Moving, we are here to help with superior moving services, and thanks to our teams of “local experts” provide you with three great things for you and your family to do once you are all settled into your new home. As a coastal city, Laguna Beach has a lot to offer and what better way to experience your new home than spending the afternoon than going out into the Pacific Ocean whale watching? At Newport Landing, tours start as low as 16$ per person and include a 120-minute ride out into the ocean where you should see a variety of the whales which pass by or live here. You can’t live in Laguna Beach without spending plenty of time on the beaches. They’re open year-round from 5 a.m. to 1 a.m. and are dog-friendly so that you can bring the furry member of your family. Saturdays in Laguna Beach mean it’s time for the Farmer’s Market. This is a vast market filled with dozens of vendors selling just about anything you can imagine, including many varieties of organic produce. It takes movers in Orange County, CA who know the area to ensure the delivery of your household goods occurs as scheduled and without a hitch. You need someone whose teams know the streets, the safest route to your home, and the best time of day to schedule your delivery. As one of the most respected movers in Orange County, CA, Priority Moving is here to help with every aspect of your move from start to finish. For more information on the many moving services we offer or the Laguna Beach, CA area, Priority Moving at (858) 256-4808 and let’s get started making your move as stress-free as possible.